contact with the news media & TRB with the Section 177 physical delivery. In Canada, civil documents are normally not to be delivered by police. In this case the police spent days trying to physically track down Mr Roy all over the Lower Mainland at a huge expense to the taxpayer. Finally the VPD phoned Mr Roy to alert him of their wanting to meet him. Mr Roy did so without hesitation. Upon meeting the officers, they were confused as to why they were being used as a courier service for the school board on this "civil" matter. 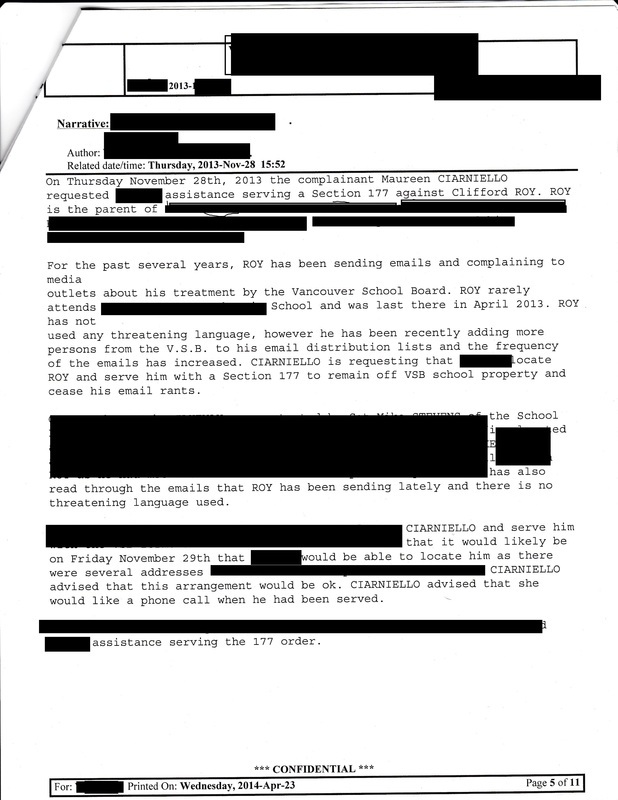 As we know, within hours of Mr Roy getting the Section.177 misuse published in the Georgia Straight Newspaper, his Section 177 was quickly dropped (removed) by the school board.